The advent of eCommerce has seen many entrepreneurs trying their hand at developing and pushing products into the consumer market. For small -and medium-sized businesses, digital goods are attractive in that they can be more affordable to create due to a lack of capital cost, overheads, manufacturing, and inventory holding costs. However, selling a physical product can still offer new entrepreneurs with several benefits. Traditionally, physical products are prototyped, designed, and then mass produced at a fraction of the original cost of production. Physical goods tend to be easier to patent and brand than digital goods and services, and they also tend to gain popularity through word of mouth faster than their digital counterparts, as buyers can easily show and share their reviews of the product. However, the process of manufacturing can be daunting to a new business because of the complexity involved. We’ve put together a few key manufacturing processes and tips to get you started on the right foot. Download our latest guide to learn the key principles and benefits of Cloud Manufacturing today. There are several different terms used in product development and design. We won’t bore you with a laundry list of words, but here are some of the key terms you’ll want to know before getting started. A Bill of Materials or product structure (sometimes called ‘Bill of Materials’, ‘BOM’, or ‘associated list’) is a list of the raw materials, sub-assemblies, intermediate assemblies, sub-components, parts, and the quantities of each needed to manufacture an end product. The Bill of Resources is the list of all resources required to produce a product. Resources may include materials, personnel, equipment, energy, and consumables. The Bill of Resources does not contain the specific production steps, but it may be organized in a hierarchical manner that maps to some of the production steps. It is often used to predict the impact of activity changes in the master production schedule on the supply of resources. Components are usually removable in one piece and are considered indivisible for a particular purpose or use. Commonly, items of very small or insignificant cost are not considered components. FFF covers a product’s identifying characteristics. Form refers to the shape, size, dimensions, mass, weight and other visual parameters that uniquely distinguish an item. Fit is the ability of an item to physically connect with part of another item. Function refers to the action or actions that a product is designed to perform. Changes in a product’s form, fit or function are typically considered significant enough to merit a new product identifier. Also called ‘time to market’, this is the length of time from when design/development work begins to the time that the final product is available for purchase. This is your first iteration of a product – there are often several iterations needed until you get to a viable version of your product. A subassembly is any collection of parts put together as a unit, to be used in the making of a larger assembly or a final or higher item. What may be a subassembly at one point, however, may be an assembly at another. Control your inventory, orders and manufacturing workflows, all in one place. Batch manufacturing, also known as ‘batch processing’, is a manufacturing technique in which components or goods are produced in groups (batches) rather than in a continuous stream. Depending on the level of demand, it may take one batch or several batches to satisfy the needs of production. This manufacturing method is the opposite of batch manufacturing. In other words, production runs 24/7 without interruption. This is a common manufacturing technique for products involving gases, liquids, powders, or chemicals. A discrete manufacturing environment is highly changeable. It can range from few setups and changeovers to frequent setups and changeovers. Products made using discrete manufacturing techniques tend to be distinct, like cars, furniture, or toys. Similar to continuous manufacturing, repetitive manufacturing refers to manufacturing the same or similar products in a continuous cycle. The pace of operation can be sped up or slowed down to meet changing customer demand, with more production lines added as needed. Unlike linear production methods, job shops instead have separate production areas where one or more versions of a product are simultaneously assembled. If demand grows, the operation can be turned into a discrete line with selected labor operations replaced by automated equipment to speed up the manufacturing process. Before starting the arduous process of conceptualizing and designing your product, take the time to establish clear brand goals. Work with your team to list down what you envision for the product, and use these ideas to form the framework for your design process. What is your vision for the brand? Let’s say your product is a resounding success – how will you use this success to achieve longer-term goals and drive growth for your brand? You should be able to answer all of the questions above to feel confident about the viability of your product. Jumping the gun and diving straight into prototyping can be a costly venture without proper preparation, so make sure to have a clear plan in place before moving to the manufacturing stage. Building a product takes time, patience, endurance, and inevitably, money. Many young companies don’t survive a miscalculation of cost in the manufacturing process. Therefore, it is vital to determine your budget before drawing up agreements with factories or purchasing machinery. Each of the above stages will have associated costs of direct materials, direct labor, and overheads. Your manufacturing budget should be a comprehensive estimate of how much it will cost you to produce your planned number of products from start to finish. 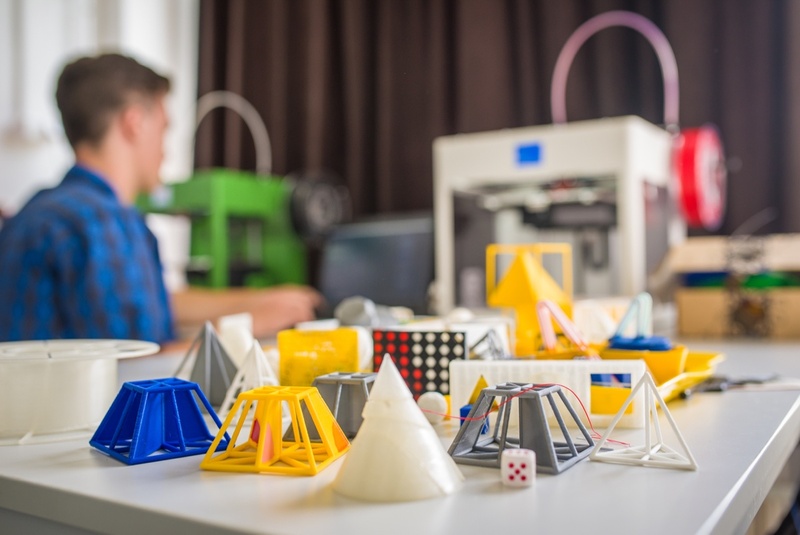 Moving from prototyping to manufacturing is often the toughest part when it comes to creating a hardware startup for ongoing manufacturing needs. Many companies design for prototypes that they can test quickly and iterate on, without fully considering long-term manufacturability of final products. Designing for manufacturability, or DFM, is the lengthy process of designing a product that can be produced at scale. This process includes figuring out the capabilities of different machines, the ability of those machines to create parts of your product and the speed and ease of creating and assembling those disparate parts. Compliance – all products must comply with safety and quality standards. These can be industry-specific standards, third-party standards, and/or internal company-specific standards. As the name implies, supply chain management (SCM) refers to handling and optimizing all the many complicated facets of a supply chain, involving goods and services. 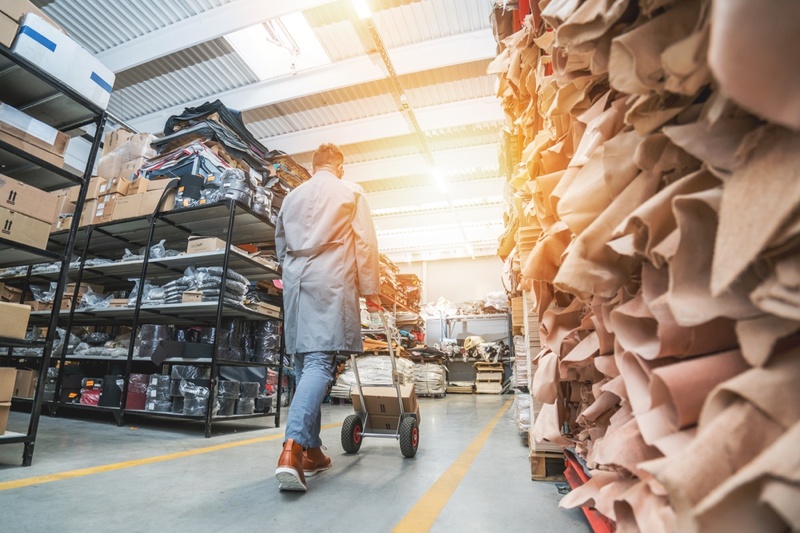 Even ensuring timely handoff from manufacturer to shipper to supplier to shipper to buyer is a massive task, and to do this cost effectively and build net value is truly a challenge. Each product in a company may have its own supply chain that includes multiple manufacturers for parts, then the completed product, then the warehouse where it is stored, then its distribution centers, and finally, the store where a consumer can purchase it. As such, there are numerous working parts to consider for any product, and effective supply chain management only becomes more complex with more diverse product ranges. Built for growing businesses, TradeGecko for Manufacturing allows you to automate and integrate your commerce and supply chain ecosystem – from production through to sales and order fulfillment. 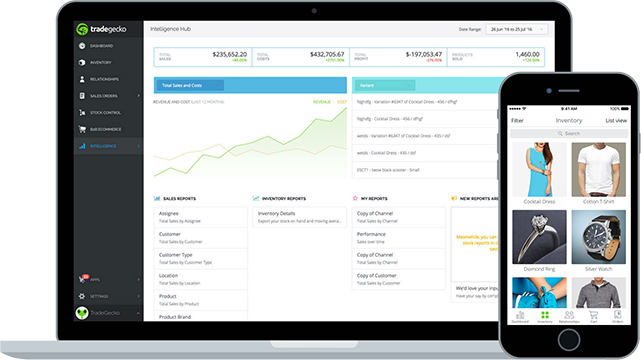 Managing production orders, multi-location inventory, and multichannel sales has never been easier. 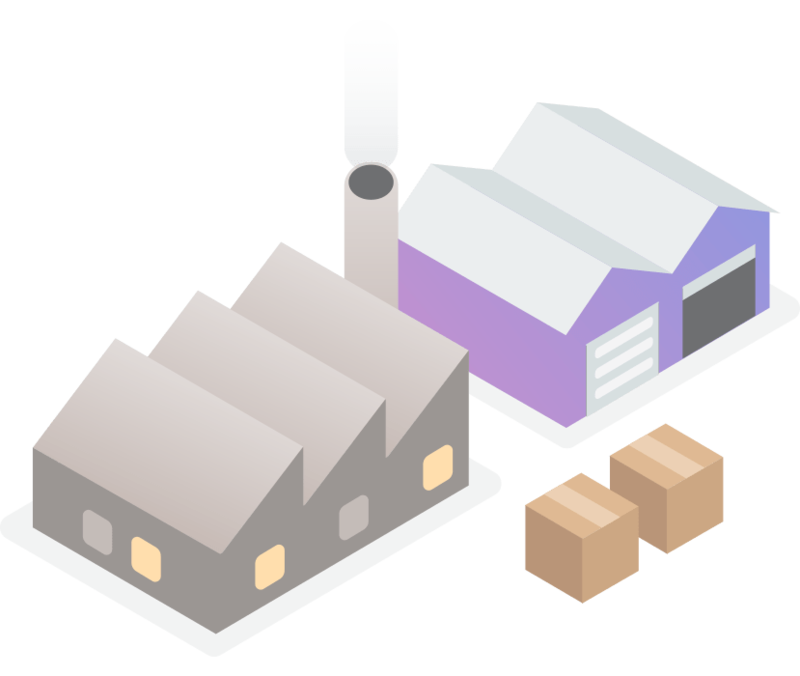 Keep track of inventory levels for your components and finished goods across various warehouse locations and production facilities. For more complex manufacturing requirements, TradeGecko integrates seamlessly with MRPs, letting manufacturers leverage two connected systems to take control of their supply chain ecosystem and production. Katana MRP provides TradeGecko customers with the ability to manage full production planning and manufacturing with floor-level control. Once you have a solid foundation in place based on the manufacturing principles above, you’ll be ready to move on to the next steps: deciding which manufacturing environment is most suitable for your product and business, then linking up with suppliers and factories to start your line. In our upcoming manufacturing articles, we’ll take a deeper look at how to overcome common challenges further down the (production) line and how to effectively manage your manufacturing processes.